As the Mervyn Smith business grew in the 1980s and 90s, and the legal, financial and regulatory aspects of letting become more complex, we felt we could augment our sales work with a more comprehensive lettings service via a partnership with a dedicated letting business, -particularly as our office space on Ham Parade was already challenged, - given the amount of business we do ! So we established a partnership at that time with Sargent & Young, who were dedicated solely to lettings and management and were an independently run business like ourselves. They were based at White Hart Lane in Mortlake and in time merged with Boileaus in Barnes. Boileaus were in turn acquired by the Carter Jonas property consultancy, at which point we had the option to seek a new partner, but felt after a series of meetings that the ethics and professional standards of Carter Jonas chimed strongly with the values of Mervyn Smith. Indeed this association has gone from strength to strength with an ever widening portfolio of properties under management. We benefit from their added input and dedicated lettings team who provide expertise, maintenance of professional and legal standards and compliance with the latest legislation and health and safety issues. Charlotte Godley from Carter Jonas is based in our Ham Parade office on set days every week. We benefit from all the additional advertising budget and contacts of Carter Jonas as well, who reach a London-wide clientele and have offices in various prestigious central locations including Kensington and Chelsea, Mayfair and Marylebone and have other offices on the South West side including Fulham, Barnes, Parsons Green and Wandsworth. All local rental properties are of course fully marketed from the Mervyn Smith office and our in-house staff do many of the accompanied viewings. We provide the same wide Mervyn Smith spread of internet advertising and local newspaper and magazine advertising as we do for our sales properties. Keys to local managed properties are held in the Mervyn Smith office and signed in and out by us. Carter Jonas provide the back office accounting, paperwork and scheduling. Clients can bring in paperwork, ID etc to either the Ham or the White Hart Lane office. The combination has proved a winning formula, with an ever-expanding roster of properties in the local area and beyond. Many landlords have retained the lettings and management services over many years, and some of them with multiple properties. 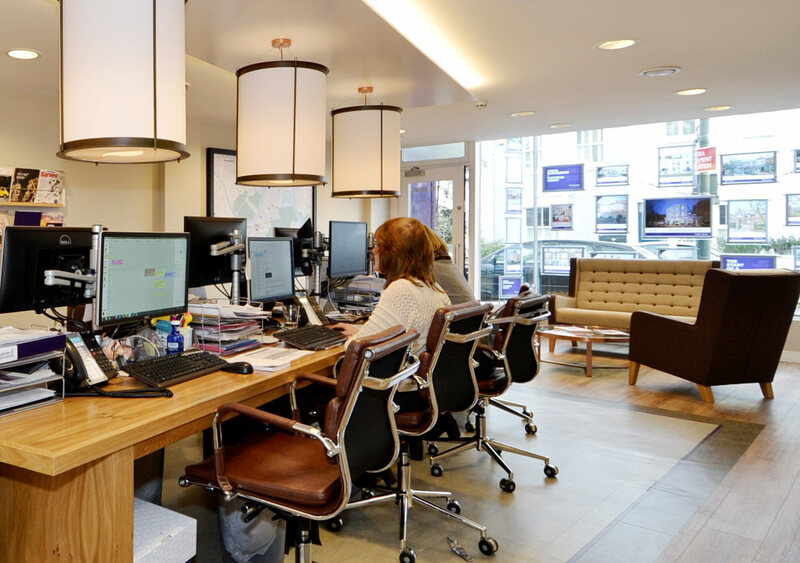 Indeed as the portfolio of properties increased, the Carter Jonas office also became challenged for space, so they relocated in 2017 into a new state of the art lettings office (shown in the photo above) which is at 70 White Hart Lane, SW13 0PZ.